This Cheese Shortbread recipe makes savory puffs that are a great little snack to have with a glass of wine before dinner. Packaged in a pretty container, they would be a welcome little hostess gift. I had never made the recipe before; I found it in Mark Bittman’s How to Cook Everything Vegetarian. 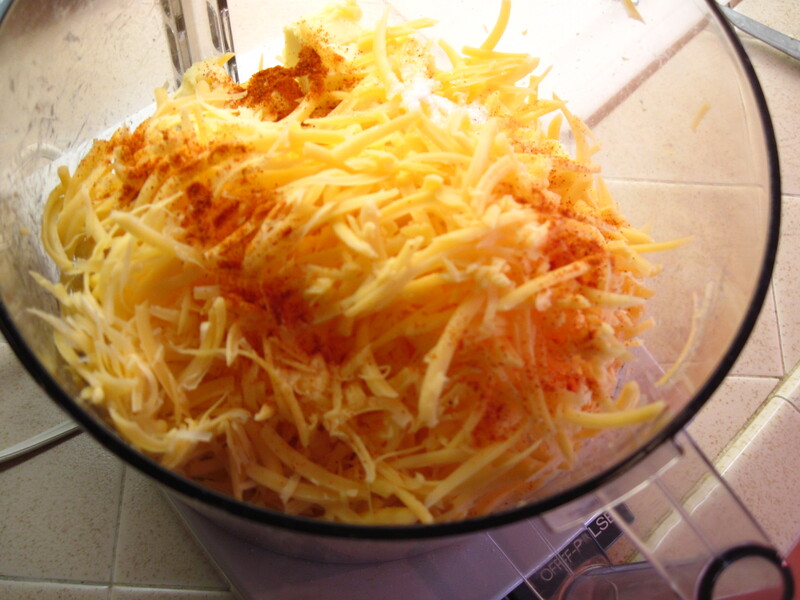 Using a food processor, it is ultra-easy to make; if you don’t have a food processor you can use a pastry blender or a fork. I used Tillamook medium cheddar, and they have a good cheesy flavor. A sharp cheddar might give even better results. Mark called for 1/2 teaspoon of cayenne; I used 1/4 teaspoon for just a hint of pepper. Use more if you want it spicier. These can be made a day ahead and stored in an air-tight container. 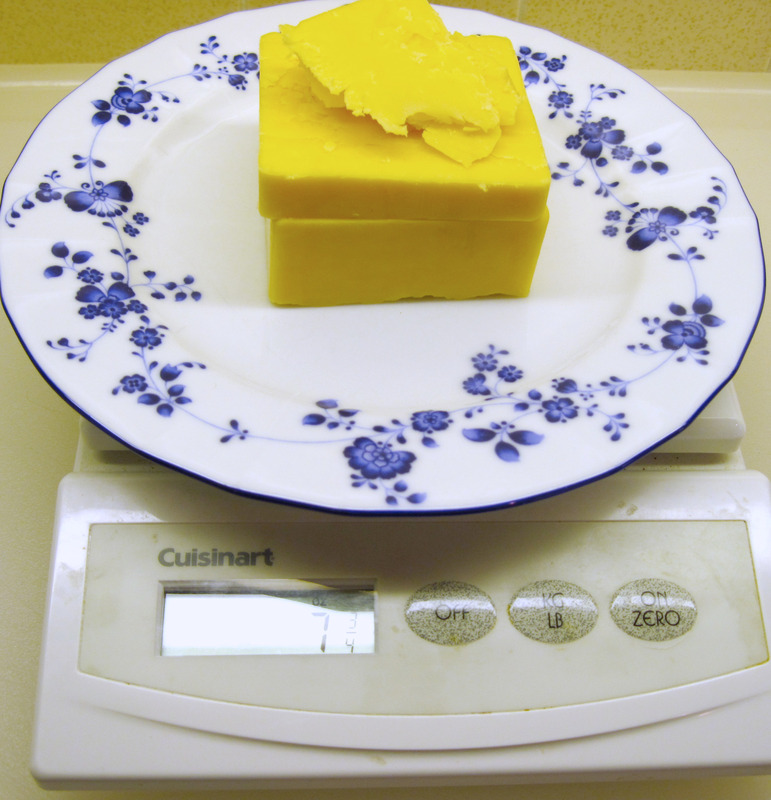 Almost 8 ounces (7 ¾) Tillamook medium cheddar. Close enough! 3. Lightly grease a baking sheet, or line with parchment paper (which is what I did). 4. 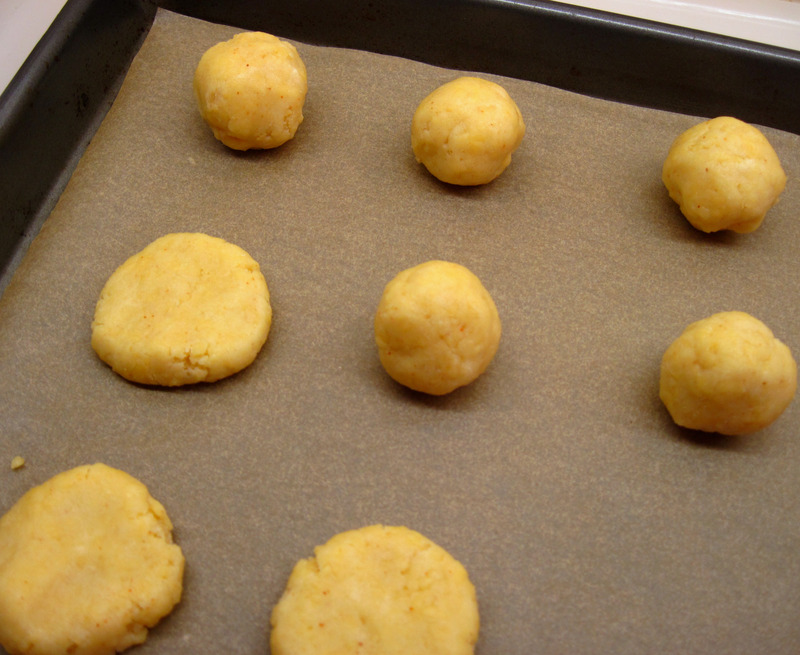 Form the dough into 1-inch balls. 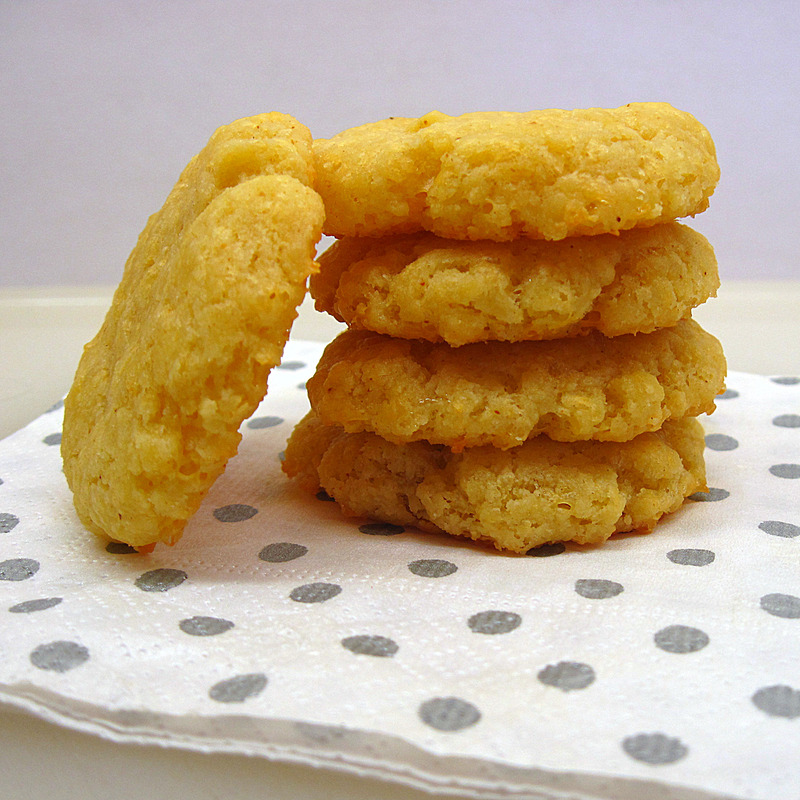 Flatten them on the baking sheet with your fingers. 5. Bake for 10 minutes, until puffed up a bit and golden brown. 6. Cool thoroughly on a wire rack. i buy these ones especially my little ones likes it a lot. know thanks for the recipe i will certainly for once atleast try it …. Yes, they are good, Roxan. I’m already feeling the need to make some more! 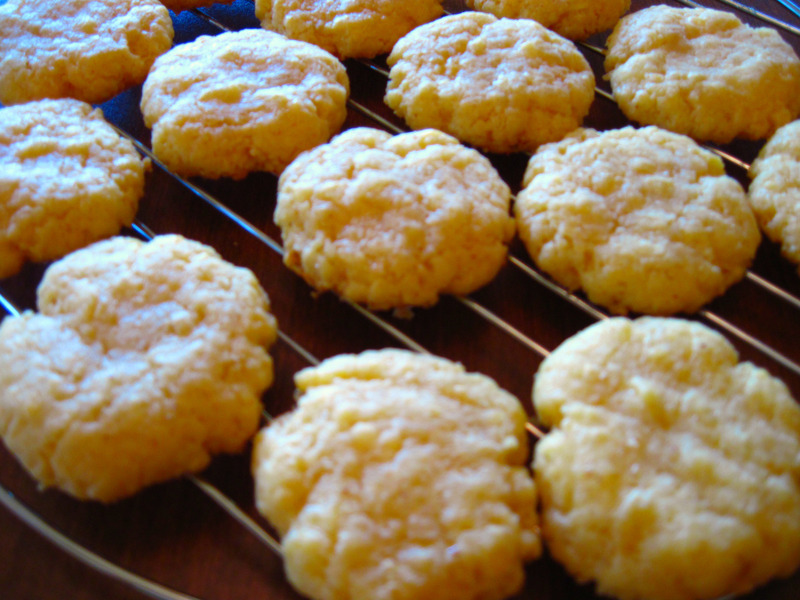 They are like cheese cookies and you are right, I think these would go great with a big glass of wine! Thanks! 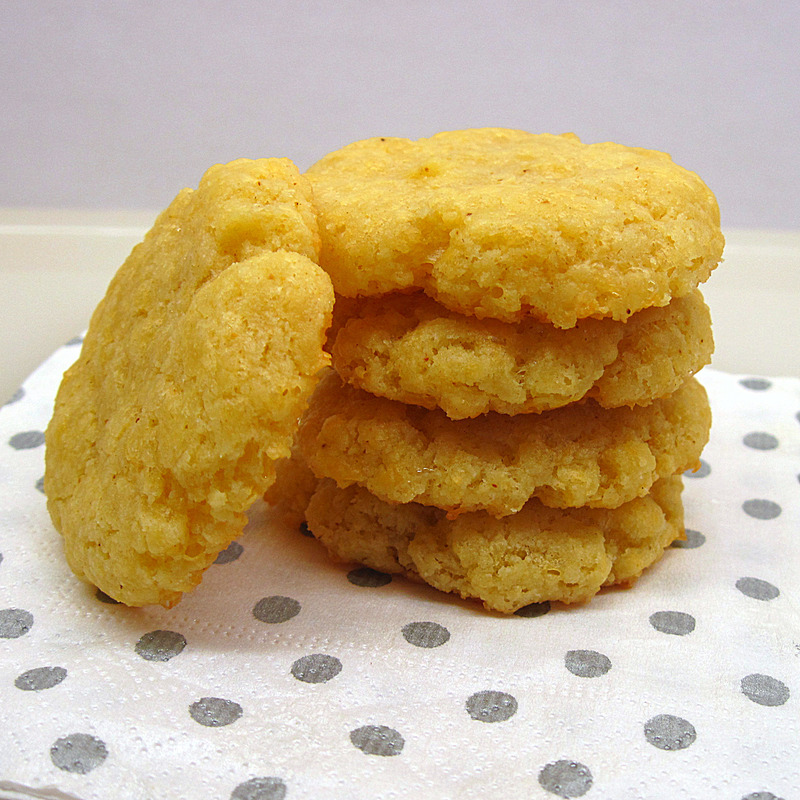 Yes, cheese cookies! I think next time I would make them smaller, though. More of a bite-size pop-in-your-mouth size. those cheesy shortbread look delicious…..all that lovely cheddar! So are these crunchy? Like a homemade version of cheetos? They aren’t cruchy like cheetos. They’re more like Cheez-Its. And I think making them smaller, they would be even more like Cheez-Its. I think I could live on these. Do they resemble cheese straws at all? Or are they much lighter in texture? And good choice on the Tillamook — seriously love that stuff. These sound fantastic! Also, the new Tillamook garlic chili cheese that I recently discovered would give it some kick as well. I see many different variations w/different cheeses here. Can’t wait to make them! I think garlic chili cheese would be fantastic, Tress! Thanks for the suggestion!